Janet Rivera-Hernandez is a leader that quickly inspires trust, building high-performing teams wherever she goes. The MasterCard VP oversees a 16-person communications department for the financial services organization’s hot Latin America and Caribbean region from Miami. She’s credited with significantly contributing to the branding and positioning of MasterCard globally and in the region during a time of unprecedented growth. Deploying an audience-centric multichannel effort, she built MasterCard’s top reputation around safety and security, innovation, and financial inclusion, scoring an average of 10 points above the closest competitor in "share of voice" and a positive tonality of 90%. She established a regional online newsroom in three languages, and recognizing another opportunity, launched a digital communications practice for the region, which includes a Twitter news handle and a LinkedIn Careers page, but also native advertising – a first for a non-U.S. region of the credit company. Next she migrated MasterCard’s flagship CSR program, Consumo Inteligente, to a digital orientation, running on Facebook, Twitter, and its blog. Rivera-Hernandez has spent a little more than a decade with MasterCard, rising to the VP level quickly as she demonstrated an aptitude for leadership and an ability to wield communications influence within the company. The workhorse also leads an internal communications team that supports employee engagement efforts in a region with roughly a dozen offices and 650 employees across three languages. As well as this, she serves on the company’s executive leadership and senior management teams and spearheaded regional thought leadership conferences and the agenda and program for the region’s most important corporate events including its annual sales meeting. Rivera-Hernandez worked at Edelman on the MasterCard account for several years. She also spent time at Porter Novelli where she worked on Microsoft Latin America’s citizenship and executive visibility programs, and then in-house to the credit card company where she seems to have found her niche. - She is a graduate of Miami’s Florida International University and is also an Arthur W. Page fellow. 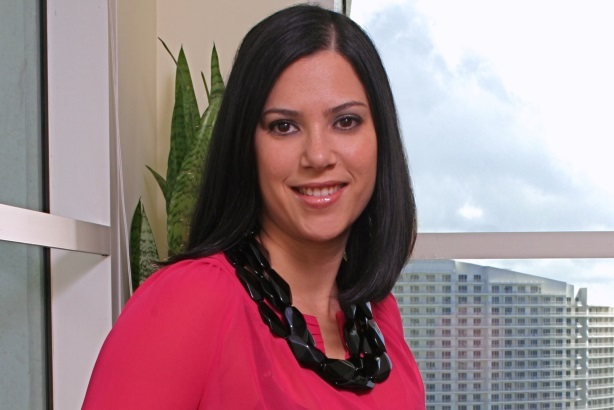 - She’s the youngest member of MasterCard’s Latin America-Caribbean executive leadership team. - Rivera-Hernandez has a number of awards including a Gold Eikon Award three times for Best Consumer and CSR program (2008, 2010, and 2011). The Eikon Awards serve as a recognition of the institutional communication initiatives given out by the media specialized in Business Communication leader in Latin America.